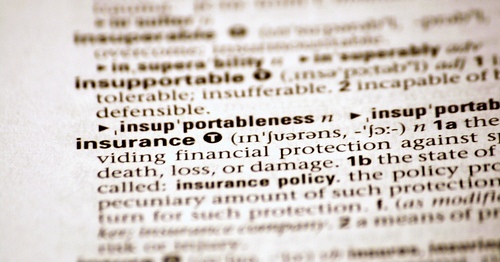 Those who carry life insurance understand the importance of the coverage it provides. The worst can happen at any time, and many adults need coverage in order to ensure their families will be taken care of in their absence. In the past, anyone who wanted to obtain a life insurance policy needed to first contact various agents via phone or in-person to see what quotes and coverage could be provided. These days, not only can life insurance be obtained without most of the hassle, but various mobile applications can help individuals determine the best type and amount of coverage for their needs. The following article will cover four life insurance applications that are designed to help you figure out the perfect amount of coverage necessary. 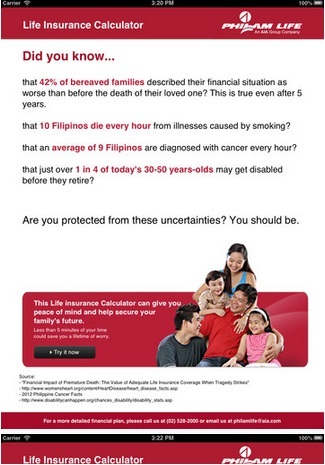 If you are not currently prepared for the worst-case scenario, then the Philam Life Insurance Calculator can help you determine what steps need to be taken to safeguard your family. Available via iTunes for free, users can quickly enter in a few simple details and be provided with an estimate as to how much life insurance will be needed to guarantee that their families will be taken care of in the event of illness or death. Once you have an approximate figure in mind from the furnished quote, you can then proceed to obtain a policy that meets the criteria and never worry again about your family’s finances in your absence. Plenty of people contemplate just how much life insurance is needed to keep their families financially secure: the LIFE Foundation Needs Calculator take the guesswork out of the equation and provides an accurate assessment of coverage based on your input. You will provide the application with information on existing debts, mortgages and any expected final expenses so that it can quickly assess what will be needed if disaster strikes. 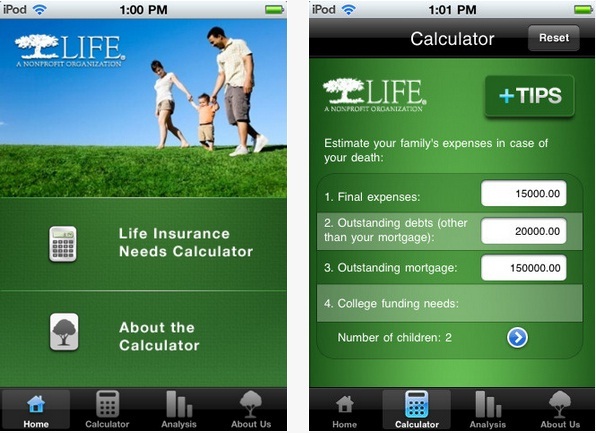 Currently available for free via the iTunes App Store, users will appreciate the ease of use and value that LIFE Foundation Needs Calculator provides. Most understand the importance of life insurance but do not know how to determine the best coverage for their family’s needs. 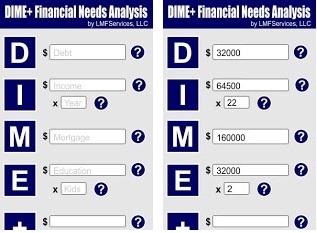 The Financial Needs Calculator will alleviate any confusion and provide a clear assessment based on your financial situation. Users will be asked to input their current debts, income, mortgage and any required costs for future education in order to ensure the perfect amount of coverage should the worst occur. Available for Android devices, the Financial Needs Calculator is a free download but one that comes packed with potential value for those in need of life insurance coverage. Those who have found the proper amount of needed coverage will enjoy the Life Insurance Quotes app, which fetches rates from more than 100 different life insurance companies. Within the app, users can grab the best life insurance quotes from major providers, email and text quotes, browse rates by state and province and keep track of medical exams. 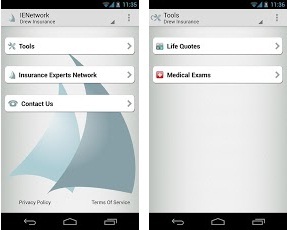 Absolutely free, the Life Insurance Quotes app can be downloaded via the Android Marketplace. Today’s feature contributor, Phil Taylor, is a part time blogger and a financial consultant working for Instant Life Insurance, an insurance firm based in Canada. When he is not working, he is seen visiting his family and friends.